Washington, April 24: Researchers have developed something that can be boon for paralyzed people who have to rely on support to go somewhere. But now they themselves will be independent to walk like a normal person. 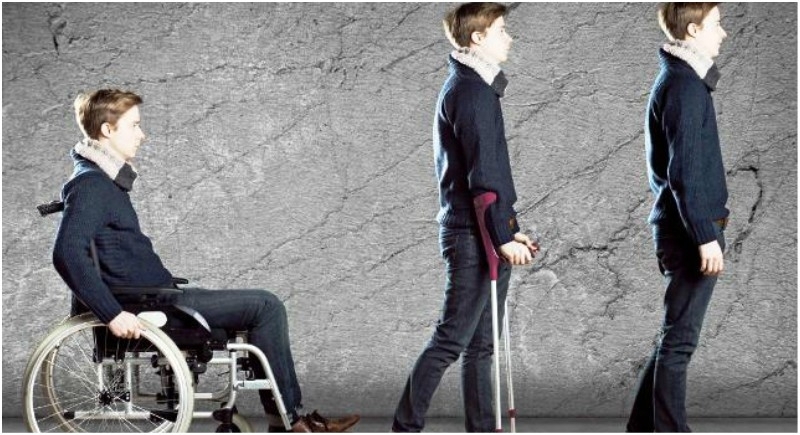 At an initial test, the invention has been tested on paralyzed monkeys which were successful now its turn for humans. Electrodes implanted in the brain and spine has helped paralyzed monkeys walk. The neurologists behind the study reported that the implants restored function in the primates’ legs almost instantaneously. The findings are detailed in Nature. The spinal cord of the subject monkey was partially cut, so the legs had no way of communicating with the brain. To mend the brain-spine interface, electrodes were placed on key parts of the monkey’s body. Implants were placed inside the monkey’s brain at the part that controls leg movement, together with a wireless transmitter sitting outside the skull. Electrodes were also placed along the spinal cord, below the injury. A computer program decoded brain signals indicative of leg movement and transmitted the signals to the electrodes in the spine. Within just a few seconds, the monkey was moving its leg. In a few days, it was walking on a treadmill. “The primate was able to walk immediately once the brain-spine interface was activated. No physiotherapy or training was necessary,” said Erwan Bezard, one of the authors of the study. Exciting news about the study is that the components that the researchers used are legal for human use in Switzerland. The Swiss group of the study has started a clinical trial with eight people with partial leg paralysis.